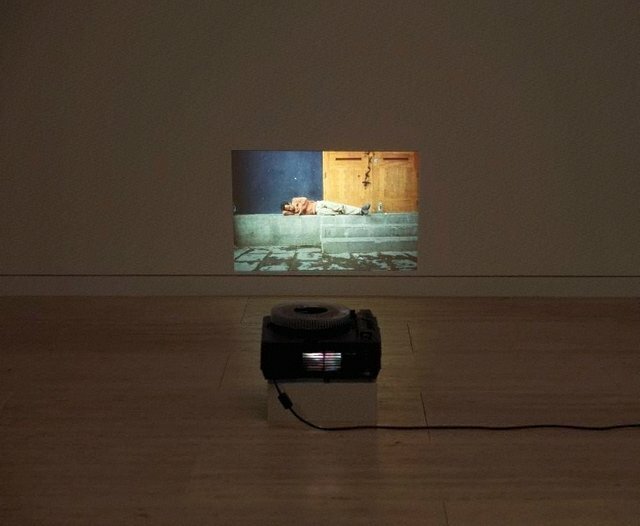 Francis Alÿs’ idiosyncratic work resists classification. Encompassing lists, plans, and drawings, performances (including public parades and solitary walks) and collections of objects sourced from flea markets, his work is inclusive and plural and is often inspired by and located in the streets of Mexico City, where the artist lives and works. ‘Sleepers II’ is formed out of the colourful ecology of these streets documenting people and dogs asleep on streets, benches and bus stops. While the work could easily lend itself to social commentary the artist’s celebratory approach to his subject undermines such an interpretation. Embracing the disorder and openness of Mexico City, Alÿs has commented that: "'Sleepers' records the way dreaming might have a role in a possible rethinking of our conviviality." Signed l.l. certificate of authenticity, blue fibre-tipped pen "Francis Alÿs". Not dated.